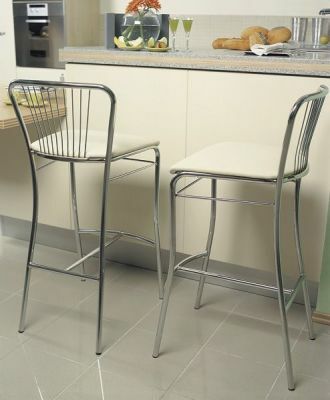 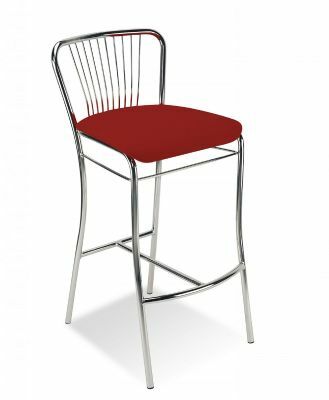 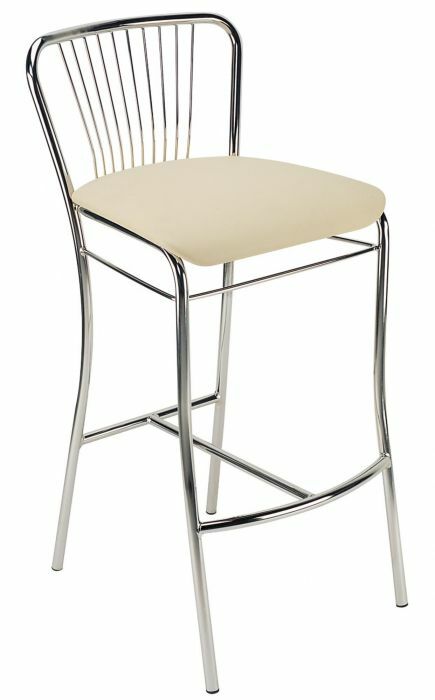 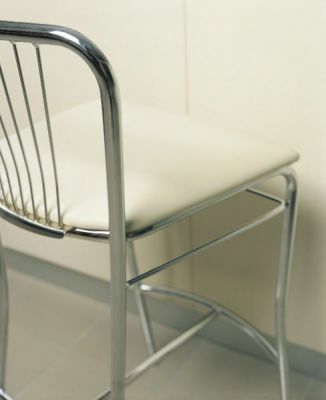 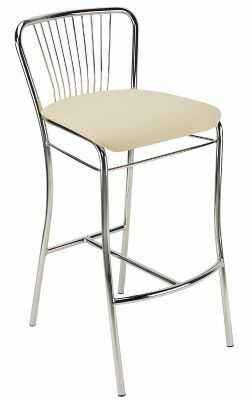 These stool are best suited for kitchens and small bars. 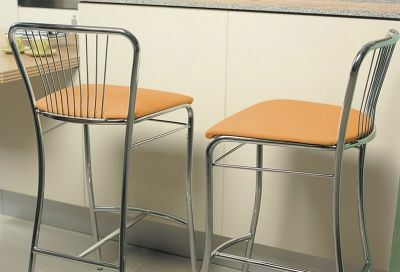 The frame molds into the back support and has an integral foot rail and anti-skid feet. 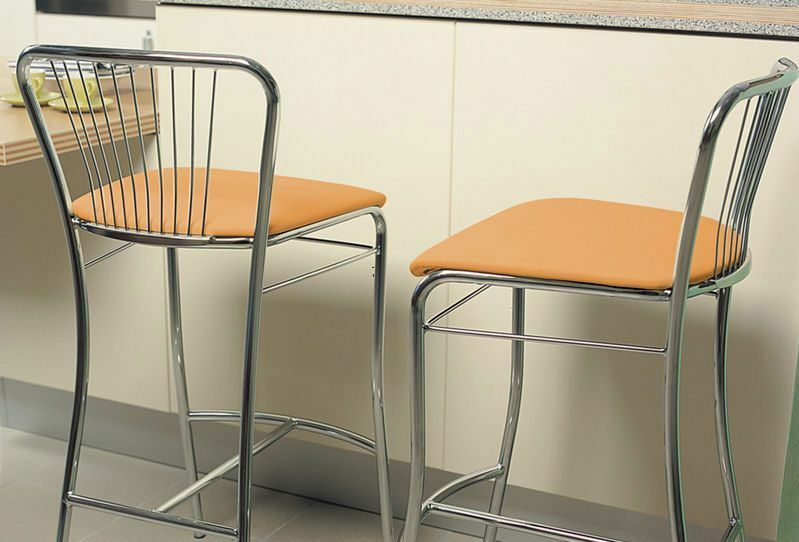 You can choose from a wide choice in finishes for the fabric and frame.